At the time of the Second Vatican Council in the 1960s, almost all nuns had strict daily schedules, wore religious garb, and had to ask permission from a superior to do anything out of the ordinary. Today, very few nuns retain this traditional lifestyle... but Sister Miriam Holzman was drawn to it. 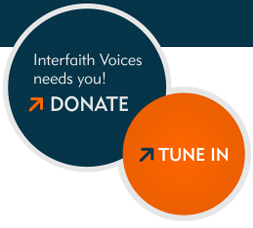 Sister Holzman tells us why she chose to give away virtually all her earthly possessions, including her cell phone, when she was just 24. Sister Miriam Holzman belongs to the Dominican Sisters of Mary, Mother of the Eucharist. "I feel that we're more free because of the way that we live our life. And that's a paradoxical thing. But people can see it when they get to know us, because they can see that we're happy." 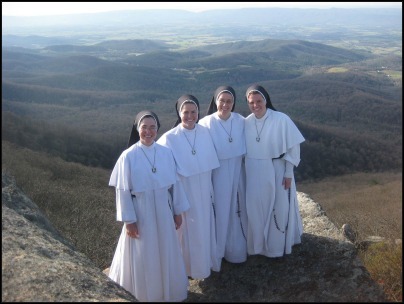 Sister Miriam, second from the right, on Old Rag Mountain in Virginia.